The Annual Prize Distribution took place in the Town Hall, on Dec. 18th. The Vicar, vice-chairman of the Governors, presided over an enthusiastic audience. The Headmaster’s report proved not only interesting, but gave evidence of the rapid progress the school is making. The usual donors of prizes had again generously responded. The system of School Captain and Prefects has been introduced with complete satisfaction. The complement of boarders is assured for the next two terms, a really gratifying feature. The keen competition for scholarships is now certain to be repeated in July, and the Headmaster emphasized particularly his remark to the effect that every pupil must be prepared to study the school’s interest even at personal inconvenience, and expressed the hope that the school was proving a valuable asset to the town and neighbourhood. The chairman referred to the necessity for a better cricket ground, and to an extension of the school library. They were in a position to look forward with the utmost confidence to the future. One hopeful sign was the already large increase in the number of pupils. Another was the wonderful development in the tone of the school, a remark which called forth prolonged applause. He urged the scholars, at work and at play, always to remember the honour of the school. He desired, on behalf of the governors, to thank Mr Cox for the great and successful effort he was making to place the school in a prosperous condition, and to assure him that he carried the complete confidence of the governors, who thoroughly appreciated his work. He also wishes to express their deep gratitude to Mrs Cox for the splendid work that she was doing, at much self-sacrifice, for the good of the school; and also to every member of the staff, who had in a wholehearted manner supported the endeavours of the Headmaster. 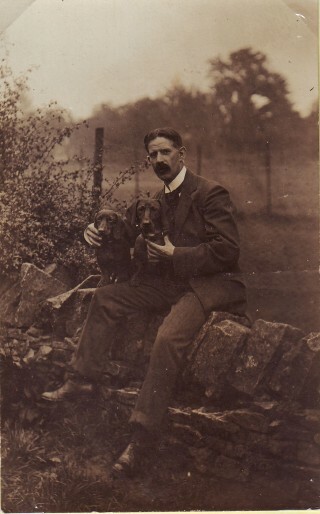 Mr Ulric Stanley proposed a vote of thanks to the Vicar, and was glad that such happy days were in store for the school. He pointed out that the real governors of the school were to be found in the Board of Education and the Local Education Committee at Gloucester, the so-called “governors” being in reality little more than an advisory committee. In seconding the vote of thanks, Dr Dewhurst congratulated Mr. and Mrs. Matthew Cox upon the success they had achieved in so short a time. During the afternoon four songs were tastefully rendered by the School Choir. The following is the prize list: Form I.: G. Beckett, first in Form, “Last Days of Pompeii” (Lytton); F. Gait, second in Form, “Sir Francis Drake” (Corbett). Form II. : D. Wyatt, first in Form, “Wordsworth’s Poems”; N. Izod, second in Form, “Natural History” (Wood). Form III. : M. Wyatt, first in Form, “Tennyson”; M. Badger, second in Form, “Tennyson”; S. Clarke, first in Divinity, “Tale of the great Mutiny” (Fitchett), presented by Mr. Samuel Leech, Buenos Aires. Form IV. : V. I. Roberts, first in Form, “The Oxford Shakespears” (sic) and “Ingoldsby Legends,” the Dean Payne Smith Memorial Prize, presented by the Lady Watkin; A.G. Ellis, second in Form, “Natural History” (Wood); R.E. Ellis, first in Divinity, “The Conquest of the Air” (Berget) and “Ponds and Ditches” (Cooke), Dean Payne Smith Memorial Prize, presented by the Rev. W. H. Payne Smith. Form V.: R.D. Reid, first in Form, “High-ways and By-ways in London” (Cook), presented by the Rev. Canon Corfe; A.J. Walker, second in Form, “Mechanical Inventions of to-day” (Williams); R.D. Reid, first in Divinity, “Shakespeare’s Works,” presented by Dr. R. E. B. Yelf. Form VI. : C.W. Steadman, first in Form and first in Oxford Univerity Local Senior, “Plutarch’s Lives.” Latin: First, A.A. Jones, “Life of Nelson” (Southey). Oxford University Local Examinations Senior Certificates: C.W. Steadman and R.V. Cairns. School Captain’s Badge: W.G. Hazelton. In the evening the Hall was filled to over-flowing by the supporters of the school. The first part of the programme consisted of part songs by the school choir, and solos admirably rendered under Mr. T. Davies, the second part included a well known farce, in which all the characters were remarkably well portrayed. The repetition of such an entertainment would be distinctly popular.